Located in Gated Champions Gate!! Love to play GOLF? This is the place... plus..2 Resort Style Pools, full service restaurant, kids arcade, volleyball, tennis, lazy river all this and more. We invite you to relax and enjoy the warm Florida Sun! This home has 9 Beautiful bedrooms and your own private pool. Over 3800 sq. /ft. of comfort and living space. Come and enjoy the Themed bedrooms and choose one that's your favorite! Both of these masters have black out curtains for a restful, dark, peaceful sleep. Living room: Open and spacious with a sofa, love seat, and two comfortable chairs to relax and enjoy the TV and make some popcorn for the family and watch a movie or your favorite Sporting Event on the Large Flat Screen TV, the livingroom also has a BlueRay DVD player. 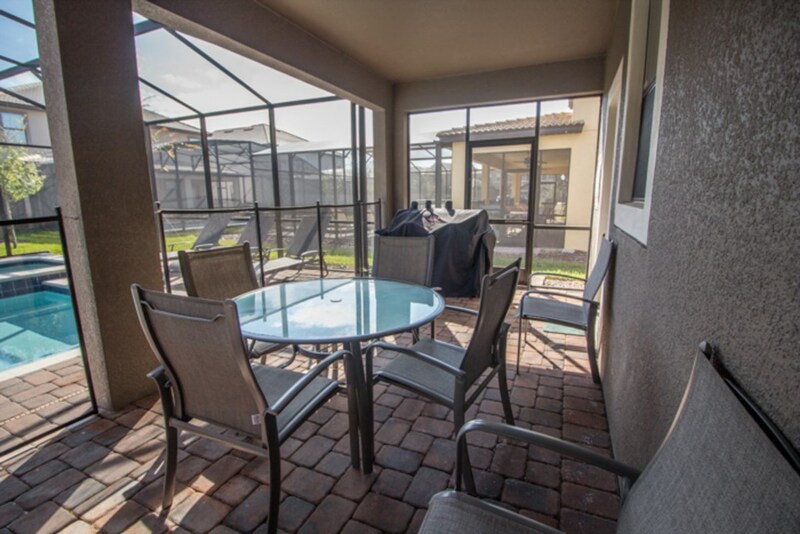 This area opens to the partially covered and fully screened lanai and pool area. Have a family meal at the Formal dinning table that seats 10. There is also seating for 4 at the breakfast bar. If you feel like cooking the beautiful and fully stocked granite and stainless steel kitchen is ready for you. All of this is designed to be open and family ready. This family friendly home also offers free local calling and free WIFI. 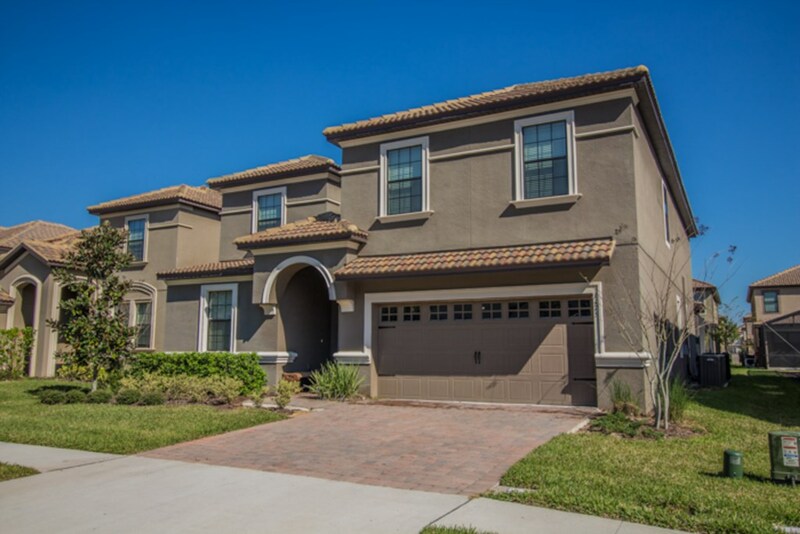 Kitchen: All Stainless Steel Appliances, Granite counter tops, open to the dining and living room areas and looks out into the Lanai / pool area. We have installed ceiling fans, Flat panel Tv;s in every room. Bedrooms have all the linens and comforts of home. Plenty of dresser drawers and closet space, so unpack and feel at home. The upstairs has a sitting room/ den in the loft area. Perfect for watching movies on the flat screen tv or clear the coffee table off for some board game fun. 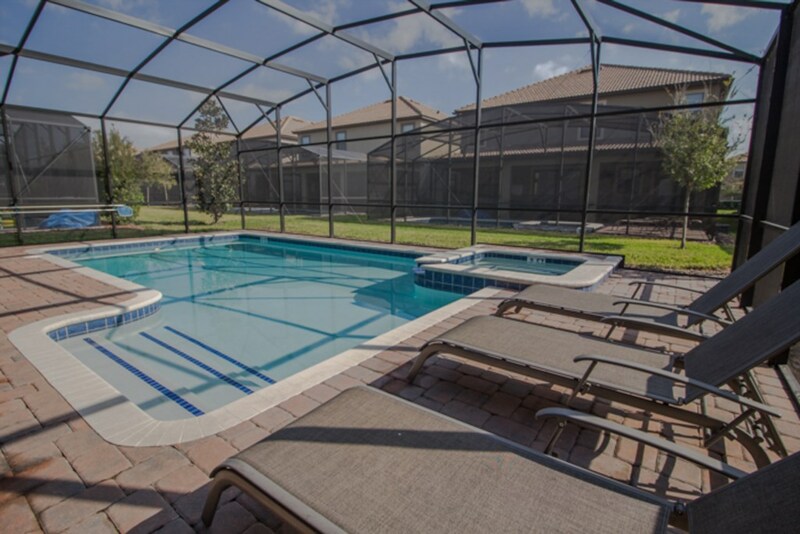 Fully screened Lanai with 2 patio tables and a large pool with spa, pool heat is available for an additional $20/day. Want to lounge by the pool, maybe take a nap? Well there are also three sun loungers available in the screened in lanai for your pleasure. The home has a Game Room with an oversized air hockey table and pool table. This community is surrounded by 36 holes of golf offered through the Omni Hotel. A Full Resort Style clubhouse with 2 pools, a lazy river, slide, volleyball, restaurant, fully equipment gym and arcade... and so much more. 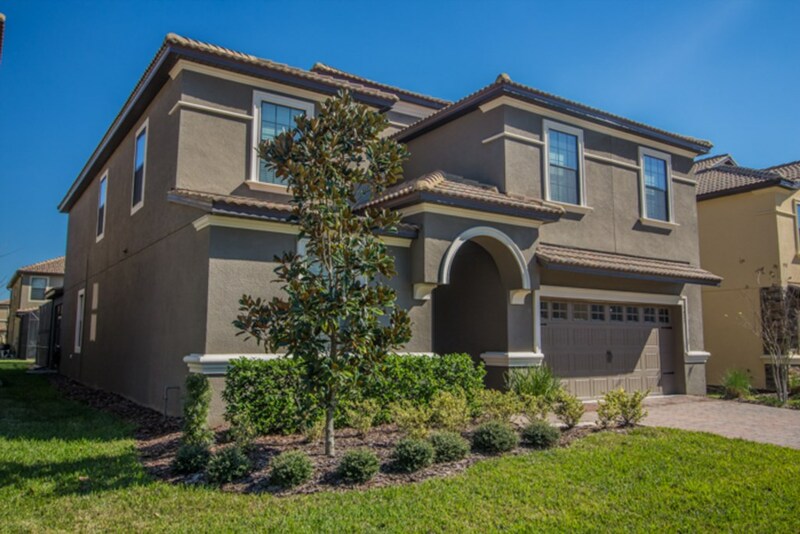 The great home is approximately 15 minutes from Disney and just 20 minutes t to Universal Orlando! All the comforts of home are waiting for you. There is construction in the community so you may encounter some of that activity. Stay in Champions Gate, conviently located to Interstate 4 and Highway 27. Shopping, Resturants, Golf all within less than 5 minutes away. 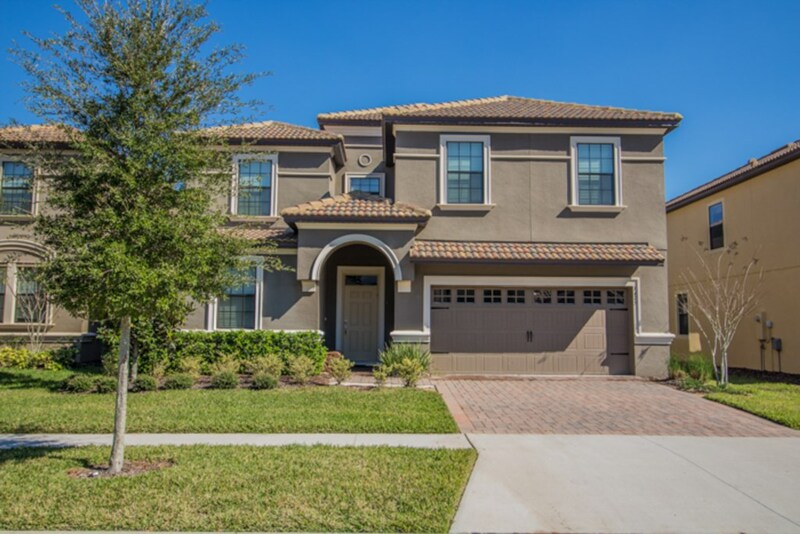 The great home is approximately 15 minutes from the entrance of Disney and only 20 minutes to Sea World and Universal Studios.